(1). Which of the following currency is not on the set of Internationally acclaimed 'Hard Currencies'? (2). What is 'C' stands for in "BCSBI" which is an autonomous body formed by the joint efforts of RBI and banks? (c) In the name of club, society, Educational Institute, etc . (4). Which of the following statement is incorrect regarding IBRD, IDA and IMF? (a) Both IBRD and IDA share the same staff and head quarter. (b) A country must be a member of IBRD before joining IDA. (d) IBRD and IDA report to the two different Presidents. (5). What is the Tagline of Bank Of India? (6). Which of the following is not a subsidiary of NABARD? (8). 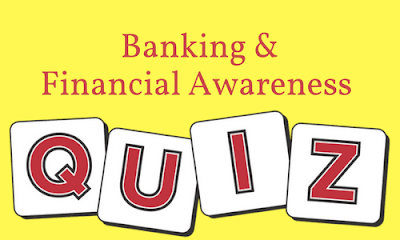 Which insurance company has tied-up with Bank of Maharashtra? Dollar, Pound , Yen , Euro are called Hard Currency. Hard currency is accepted for settling international transactions , so it may always be in demand in the international market. Banking Codes and standards Board of India (bcsbi) is an independent and autonomous body formed by the joint efforts of RBI and bank. It acts as a watch dogs to monitor banking practices adopted by member banks inorder to ensure quality service to customers. Both IBRD and IDA share the same staff and head quarter and report to the same president. The M.Narisaman committee in 1975 after studying the impact of the Lead Bank Scheme recommended the establishment of rural banks in each district that may be dedicated to rural development. The first Gramin Banks started functioning on 2nd October 1975 under an ordinance and subsquently the Regional Rural Banks Act was passed in 1976. Future Generali India Insurance Company (FGII) has entered into a corporate agency tieup with Bank of MaharashtraBSE 1.08 %. Aeries Financial Technologies Pvt. Ltd., a fintech company promoted by serial entrepreneur and private equity investor Mr. V. Raman Kumar announced that CASHe, India's fastest loan giving app for young salaried professionals, has partnered with Paytm, India's largest mobile payments and commerce firm to allow its users to deposit cash transfers from CASHe to their Paytm wallets. Ant Financial, e-commerce giant Alibaba's financial arm, has reached an agreement to acquire American money-transfer major MoneyGram for $880 million, in a deal that will expand the firm's business in the US after India and Thailand.